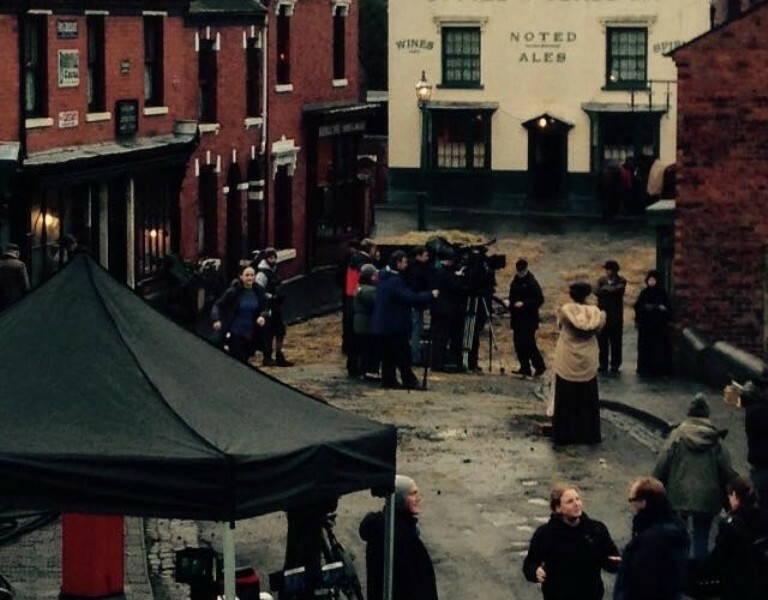 The creator of the BBC’s post WWI drama Peaky Blinders, Stephen Knight recently called the Black Country Living Museum the home of the show, which is a great marketing tool to have when the drama’s audience figures peak (pardon the pun) at three million. This drama about a notorious Birmingham gang premiered in October 2014 and has recently finished filming part of its third series at the open air museum in Dudley, which will be aired next year. 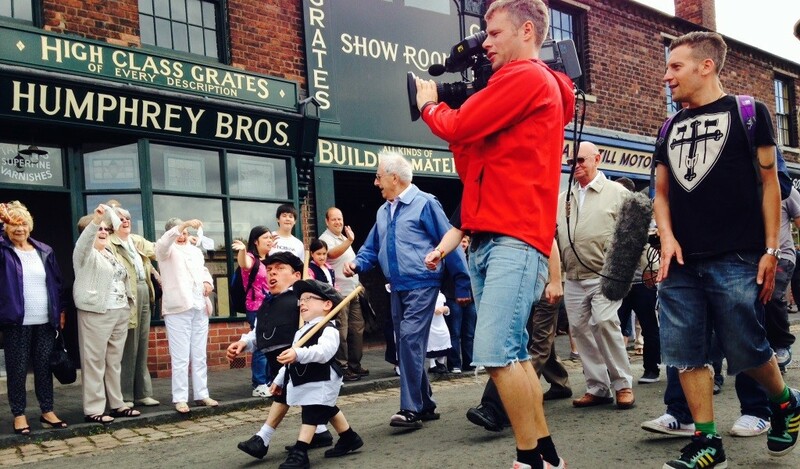 The profile of the museum is raised when Knight and the stars of the show take to social media to tell fans about themselves filming along the canals and Victorian streets of the BCLM. 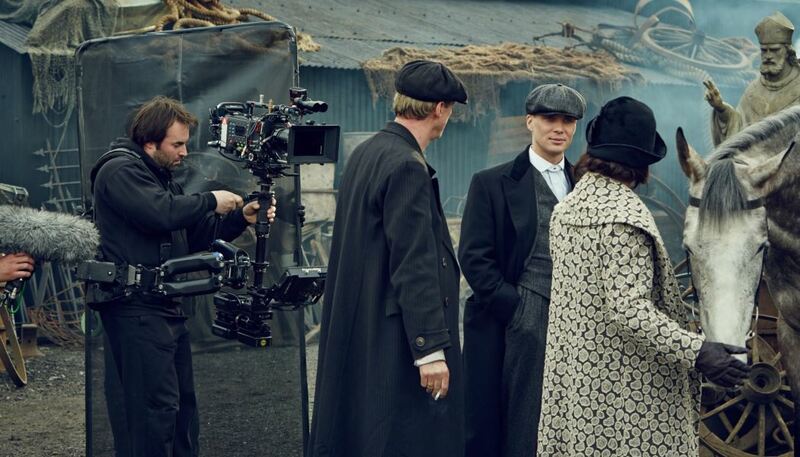 But Peaky Blinders is not the only show that the BCLM has had filming on its land since it fully opened in 1978, and as the museum has grown so to have the size and scale of the projects. 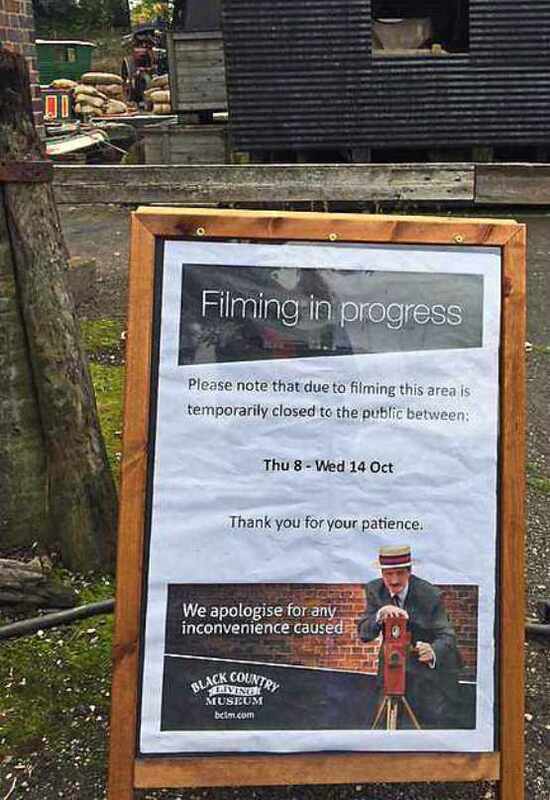 Two of BCLM’s earlier filming projects include a BBC period drama Sophia and Constance (1988) and Feast of July (1995), the latter of which saw the entire site converted into a film set. 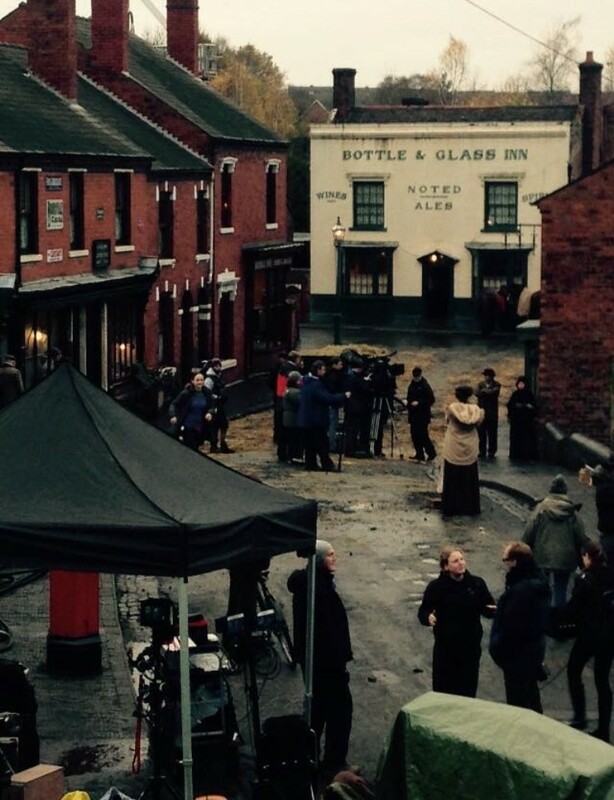 More recently historian and BBC presenter Lucy Worsley has been filming at the BCLM for A Very British Romance. 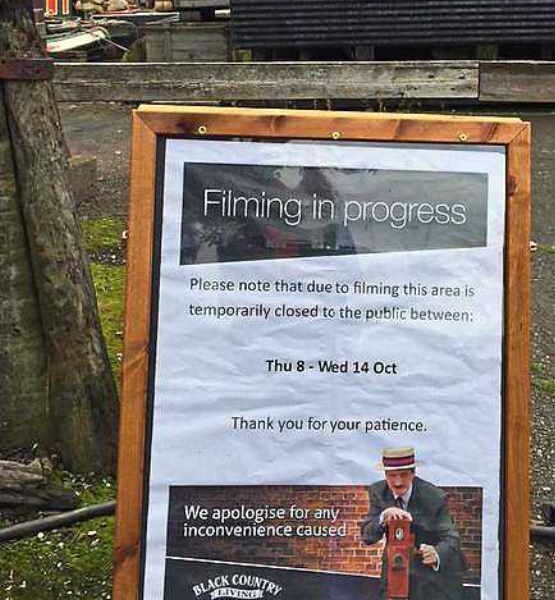 The Peaky Blinders cast came to film at the museum for the third time in October and they were on site for 11 consecutive days – three days for set-up, six days for filming and two days for strike. This can create quite a stir at the attraction and museum staff have witnessed visitors coming for a day out dressed like the Peaky Blinders characters complete with flat caps. To capitalise on this popularity of show and attraction, the museum is hoping to run a specially-themed Peaky Blinders evening event in 2016 which will generate income for the Museum as well as satisfying demand, subject to the ‘go-ahead’ from the BBC. 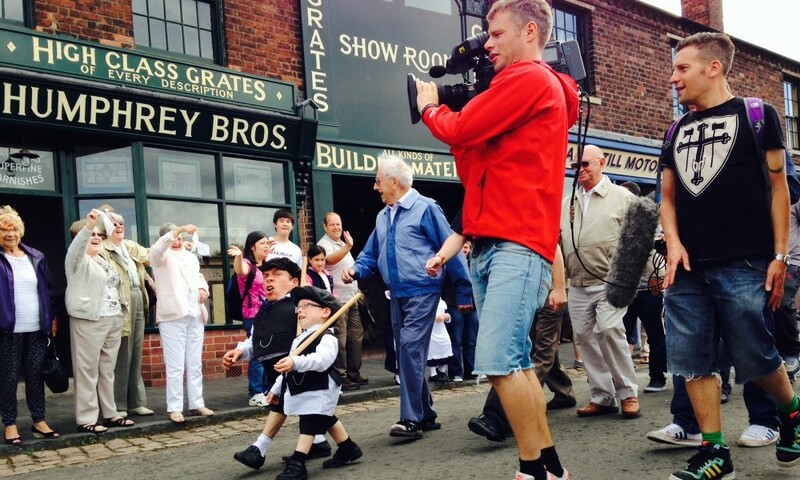 As a significant part of the BCLM’s five year strategic plan (2015-2020) is to grow and diversify its income by making full use of our assets and resource; filming is an important element of this strategic aim and the museum is looking to expand the amount of filming on site in the future. However, the museum is very clear that filming should never be to the detriment of the visitor experience nor undermine BCLM’s primary role as a Museum of the highest quality. As well as keeping the visitors happy during filming there is also the added responsibility of keeping the cast and crew happy. Over the past two years the BCLM has had on average 15 pieces of filming per year; these range from small documentaries to large scale TV dramas, and even scenes for a forthcoming Bollywood film. Location Managers generally do not work to long lead times so there is currently very little scheduled in for the next 12 months at the moment. All film crews are given a list of list of dos and don’ts which are communicated to them right from the outset. Many of these are constants but some do change once the museum staff have sussed out the nature of the project and the likely impact it will have on site. The museum will also request documentation crew, including proof of public liability insurance and relevant/necessary risk assessments and then a contract is signed. There are numerous challenges of having a film crew on site, says Wakelin, but they are all manageable as long as there is preparedness from both parties. As I’ve mentioned previously, minimising the impact on visitors is one of the biggest challenges but managing the treatment of the Museum’s historic objects is as equally demanding. Whilst visitor attendance is the most important validation of what we do (accounting for 68% of trading revenue), as a truly independent Museum, we are continually looking to grow and diversify our income streams. Increasing filming therefore forms part of the Museum’s main strategic aims and consequently attracting those film crews is a significant programme of activity with the Museum’s marketing strategy.